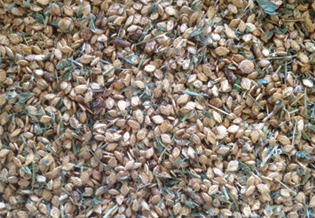 Stockfeed represents one of the greatest costs for most livestock production enterprises. 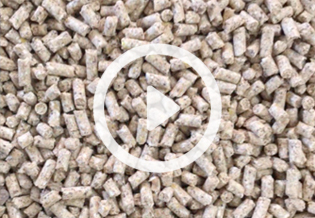 To ensure your stock perform as expected, every product, from a 20kg bag through to a B-Double load of pellets is manufactured from the highest quality raw materials. Our services don’t stop when the truck finishes delivering your order. To ensure bulk customers are achieving the best results from both our products, and your livestock, we offer a complimentary on-farm nutrition and feed budgeting service, with a focus on assisting customers to achieve the best Income Over Feed Costs from their enterprise – Cost Effective Feeding Solutions. 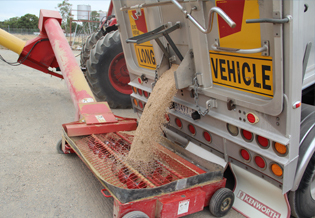 We also offer bulk cartage services, grain cleaning, and bagging services. 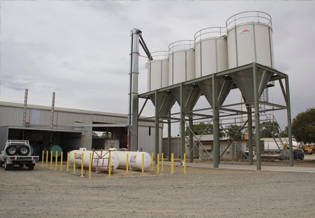 Our stockfeed mill is located in Moulamein Road, Barham and produces high quality dairy, beef, sheep, lamb, pig & poultry feeds, available as either pellets or rolled grain mixes. 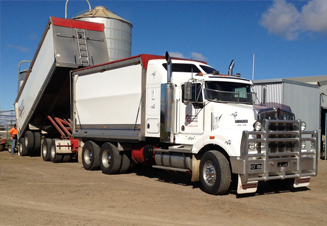 FCF can deliver small lots, through to bulk deliveries into your silo. Our equipment is designed to make the job easy for you. Bulk deliveries are delivered with our blower truck set up.